Do to popular demand/while supplies last/for a limited time, et. al, the group Parenthetical Girls offer the digital public some stray soft goods via the internet—left over t-shirts & tote bags from our recent tours through the critical mass of the Americas. Please support us in our many frivolous expenditures by clicking the “Buy Now” button below, at your leisure. 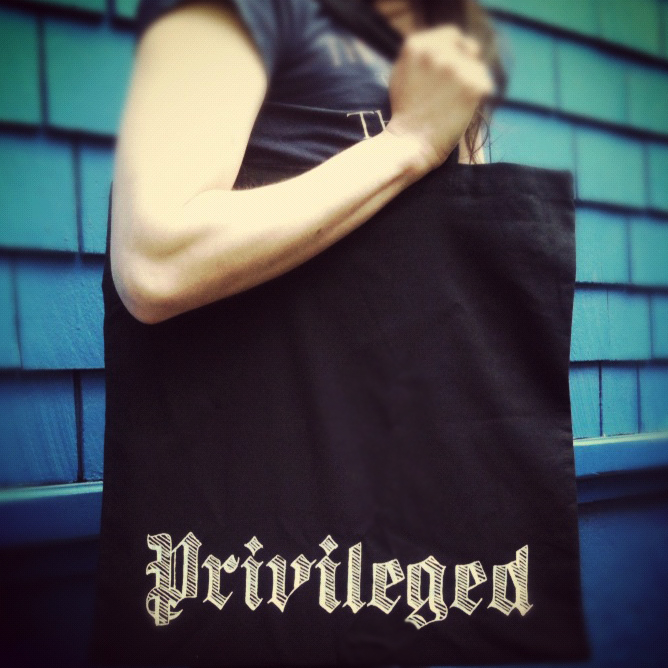 •“PRIVILEGED” TOTE BAG, WHITE on BLACK. Designed by Zac Pennington.